The best way to connect with people, make new friends and advance professional connections today is through social media online. The emergence of the internet as a reliable and cheap communication tool has revolutionized how people connect, how they interact and how they do business. If you are a work at home entrepreneur, you will understand what I am saying. People today carry out their business responsibilities at the touch of a button through their laptops, tablets, smartphones or desktop computers at home or in the office. Social media is mostly used in social interactions but business has found a way to make use of it. As a work at home contractor or entrepreneur, one of the biggest challenges you will meet is keeping off social media during work hours in order to concentrate on work. But then, do you know that you can turn things around make social media such as Facebook, twitter, LinkedIn and YouTube work for you? It is possible for you to use these tools to advance your career and promote your business – but it has its challenges. You are not supposed to be too salesy on social media otherwise you risk losing even genuine real life friends. Since social media is a place people go to hang out and make friends or catch up with old ones, you have to be very tactical how you introduce business to avoid getting blocked, unfollowed or disconnected depending on the platform or platforms you use. Here are some of the top social media marketing ideas that you can use to promote your business, product or enhance your career effectively. Isn’t it obvious that Facebook is the most popular social media platform today? With close to a billion active members as of December 2012, Facebook is a place to be – whether for social purposes or for business. However, Facebook is notoriously difficult to do business in, especially if you have a small home business or you want to promote your work at home career. Here are a few ways you can do this though, I hope they help. 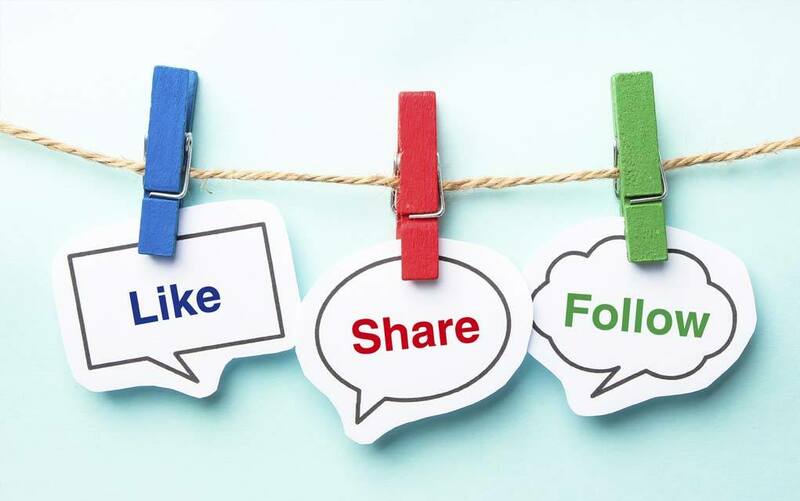 Having your own Facebook page is the most efficient way to promote your business, attract new clients or provide updates to those interested on any new developments. When you create a page, you have to promote it on your website or on emails and invite your clients and friends to like it. This way, you will not risk losing friends for promoting products or your business on your personal Facebook page. It is also an effective way for clients to get to know the professional you rather than your personal profile. No one ever stopped learning – you included. One of the best things on Facebook is that you can come together as work at home entrepreneurs and learn from each other. Like those pages that provide advice and tips to freelancers and work at home contractors or join groups of like-minded people whose aims are to support each other and protect themselves from the tumbling blocks of work at home careers and businesses. Liking professionals’ pages on Facebook is another great way to get advice tips and even answers to your questions for free. You can also like your clients’ pages to get more work or know when work is available or like the pages of those websites that connect contractors and clients and you would be surprised how many clients’ you can find on Facebook. The good thing is that Facebook has no restrictions on how many pages you can like and all their updates will show up on your timeline. Facebook advertising is one of the best places to spend money on to reach the widest audience. Whether you are looking for clients to give you work, are selling products or are a client looking for contractors, a cleverly constituted Facebook ad will reach just the people you want – and you will get response right on Facebook or you can choose to direct them to your website. If you have not tried Facebook advertising yet, and you have some money to spare to reach the right audience, you should give it a try. Twitter may allow only 140 characters per tweet – that’s 20 characters less than a text message’s! But don’t be so quick to dismiss twitter as a marketing tool – you could do a lot with those 410 characters! I must admit that it is difficult to make a clear sales pitch on twitter, but it is easier to discover and know marketing managers and editors through keyword search, following the proper #Hashtags and building relationships with the relevant Tweets. Before you get people to follow you, you need to start following the right people. This is one of the most effective ways to build relationships and get connected to the people that matter. Following professionals in the work at home industry, pages that have updates on matters relating to work at home and other people such as journalists and successful entrepreneurs is a sure way to connect to the right people. These people will provide you with information you will find useful and they can even answer your questions when you ask. When you have a client, connect with them by following them on Twitter. Current and possible clients will feel that you are an easier person to connect with when you follow them – and it pays off most of the time. Whenever you have something to ask or comment, be free to do so, but be careful not to overdo it so as not to appear as a stalker. Retweet their informational tweets (that pertain work and business) and reply to any general questions they may ask. Whenever they post links to blogs or websites, follow through as they will help you understand their line of business better and what they like. Twitter may look very restrictive in the way people interact, especially since you cannot form groups or join any. User profiles are limited and basic and the site is basically not as ‘social’ as Facebook. But if you learn to use Twitter right, you can be a great collaborator and can find partners to work with, collaborate on projects right on twitter and have meaningful conversations with people you work with. Follow people in the niches you work in and fill out your information right to get the right followers. From here, it will not be so difficult to figure out who is who and what do they do. Unlike Twitter, Facebook and Google+, LinkedIn is a different kind of social network in that it is focused on business. Users on LinkedIn can be proactive professionals and marketers and will not need to worry that they are bugging other users because that’s primarily why they are on LinkedIn. How can you advance your career or work at home business on LinkedIn? How you set up your LinkedIn profile is the greatest determinant on whether you will be found by the right people or not. It is a good thing that linkedin has simplified how you set up the profile and included the option to use keywords and show you how complete your profile is. Be sure to use the right keywords as LinkedIn uses them to connect you with the right professionals and people with similar interests and jobs. You should also juice up your profile by filling your ‘skills’ section with work at home related skills and interests and getting recommendations from clients and other professionals already on LinkedIn. Another great thing about LinkedIn is that other users do not expect you to spend countless hours every week online – updating your status by the minute on pointless things you are doing. But this doesn’t mean you should not update your status – it just means your updates should be regular and relevant. You can use your status to ask for work, find collaborators or provide information and links that your followers will find useful for their businesses or careers. This will help you connect better and even lead them to your website or blog. Facebook, Twitter and Google+ all do not have the ‘who viewed my profile’ feature but LinkedIn does. This cool feature can help you identify where your business prospects are and you can find clients who viewed your profile and offer them your services. If a client views your profile, you can follow that up with an InMail, letting them know what services you offer or providing a link to your professional page. Google+ was initially intended for all-purpose networking but it has turned out to be one of the best social marketing sites. Most professionals, especially those that deal with work at home contractors or seek tech-related services are often on Google+. Friend-surfing is a great technique to build relationships on Google+ by adding prospective clients on our circles and checking out who they have in their circles. When you come across interesting prospects, comment on them and share their links. Once they check you out, they will realize you have a lot in common and you provide the services they may be interested in – this way you will not appear a stalker yet still make a friend. Which of these social media techniques are you currently using to advance your career and work at home business?